tracert (traceroute) is a tool to verify the IP address of the IP network path to follow in to the destination. In other words, you can display the IP address of the packet to pass through. In the location where routing loop has occurred, the same address is displayed many times, so you can also use the survey of routing loops. In Windows OS, you can use this from the command prompt. 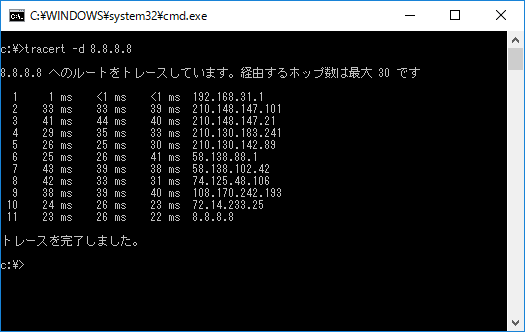 For example, when you want to check a route from your PC to Google's IP address, at the command prompt> hit the tracert "8.8.8.8". 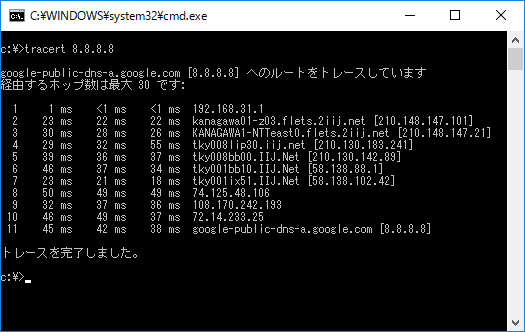 It should be noted, "8.8.8.8" is the IP address of Google public DNS server. The first displays the default gateway of the Windows PC running the tracert. Then we follow the 210.148.147.101 ⇒ 210.148.147.21 ⇒ ···, you can see that you have arrived finally traced to 8.8.8.8. When I am running seen I think, but the display is slow.This is, for the middle of the obtained route IP, is due to perform a reverse lookup of the DNS.If you want to display early, and give it a -d.This will no longer run the reverse of the DNS. 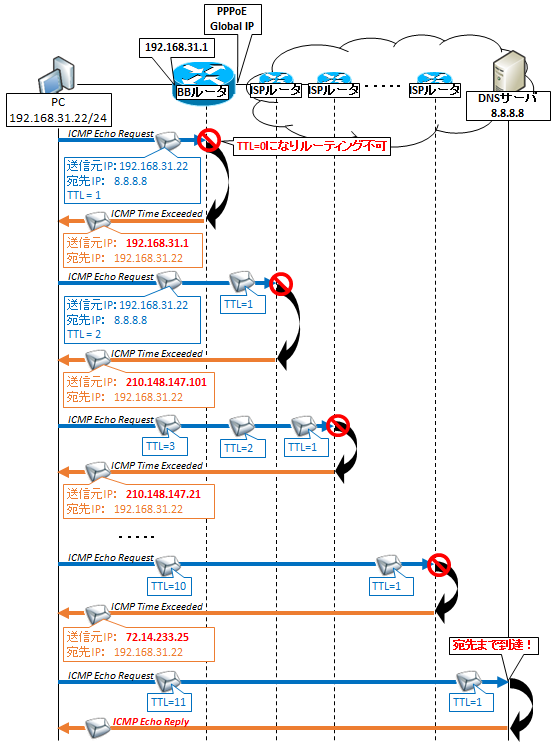 tracert does NOT display all of the IP address on the path that passes through to the destination. You need to know what to make of tracert in order to understand this.  Consider as an example addressed to previous 8.8.8.8. When you run the tracert 8.8.8.8, "addressed to 8.8.8.8 ICMP Echo Request the" Send in the TTL = 1.However DGW routers at next TTL = 0 at the timing when trying to routing, from the router the source IP = 192.168.31.1 (DGW of PC), "Destination IP = [PC of IP] ICMP Time Exceeded is sent" you.What is displayed as the first route on the command prompt, will this source IP = 192.168.31.1.The following was sent in TTL = 2, TTL becomes 0 at the ISP router, as the source IP to 210.148.147.101 is the IP address of better interface close to the PC ICMP Time Exceeded is sent.To the next because sent in TTL = 3 ,,, to reach the destination, or you repeatedly until TTL = 30. As can be seen from the above, not all IP on the path that passes is displayed, among the NW device passing, I side interface IP is gradually displayed in the order closer to the transmitting terminal. In other words, the side interface closer to the destination, but there is a path, IP address of the interface is not displayed. 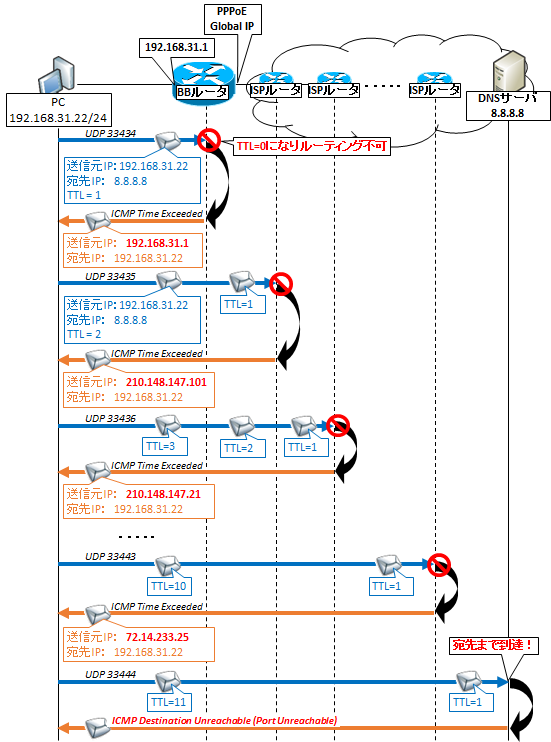 You can use traceroute on Linux and Cisco equipment.It is not tracert. There is no difference in the role, but a slightly different implementation.The transmission will continue to increase from UDP Higher port 33434 instead of ICMP Echo Request by one every time of transmission.So if you are at an ICMP on the FW, can not be the Linux traceroute although it is tracert of Windows, it will state that. To reach the destination will receive the same ICMP Time Exceeded, and reach the destination, ICMP Destination Unreachable (Port Unreachable) will assume that is returned. But, I mean -I in options like the Windows of tracert, it will be in operation in the ICMP Echo Request.